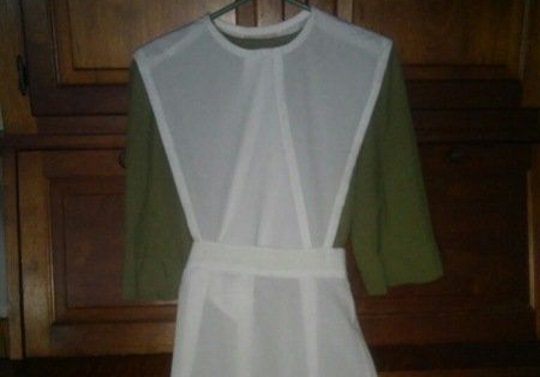 What Do Amish Brides Wear? Amish wedding season is in full swing. I was reminded of this yesterday speaking with an Amish friend about visiting Thursday – he had to stop to think if they had any weddings that day. Thankfully the schedule is clear, but it’s not uncommon to have multiple weddings to attend in a week, and even on the same day (Tuesday and Thursday being the traditional days for weddings). This can vary from one community to the next. In some communities the brides will wear a black dress with white cape and apron. In our community, the bride chooses her color of dress, but wears a white cape and apron. Also in our church community, a bride wears a black covering to the wedding service. After she is married she changes to a white covering and won’t wear a black covering again. The unmarried girls wear black coverings to church services, but wear white coverings at all other times. And who makes the dresses? Lovina originally comes from the Swiss Amish settlement of Adams County, Indiana, if you’re wondering which community she’s referring to. For that matter the Swiss Amish have several of their own specific customs uncommon or unseen in non-Swiss communities. I’m not sure how prevalent this custom is (and where it’s most common), as this edition of Steve’s book has some years on it. But it’s a a good example of the importance of physical keepsakes in Amish culture. It must be a nice feeling to open a scrapbook years later and have an artifact of a loved one’s or special friend’s special day – one that you can actually touch. 6 responses to What Do Amish Brides Wear? At Old Order and Markham Waterloo Mennonite weddings in Ontario, the bride also has small samples of her wedding dress material for her guests. The OO girls wear plain navy while the MW girls wear paler blue or even grey dresses. In both cases, cape and dress are the same material. Interesting, thanks Osiah. Nice custom to share the material. Feels like something meaningful in that. Maybe someone can explain? THANK you! We were blessed to be invited to an Amish wedding this fall. I remember this young lady as a child sitting on my lap, so needless to say this was a wonderful event. She wore a blue dress with a white cape and apron. She was quite stunning in her simple dress. What a wonderful day for us, to be able to visit with so many friends and meet many more that we consider friends now as well. While the wedding was a little different than our English weddings, it was still a very special occasion. So wonderful to think of a new family, and all the blessings that will bring. Most of my really close friends are Amish. I appreciate their pragmatism, and self reliance. Mostly, I appreciate their faith in GOD above. The Amish wedding we were honored to attend was totally different from any English wedding my wife and I have ever attended. The ceremony itself was 3hours long. There were no extra fancy garments. No exchange of rings. No musical instruments playing. There was lots of beautiful singing. The entire ceremony was given in Pennsylvania Dutch. There was absolutely no pomp and circumstance; just a straight forward Amish wedding ceremony. I believe the only things in common with an English wedding were the opening of the presents and the reception. We will be prepared for the next Amish wedding we will attend and will understand more of the wonderful ceremony. To be as close to our Amish friends that they honor us with invitations to worship with them, to share meals with them, share in their weddings, is an amazing feeling. There is nothing that we won’t do for our Amish friends and families. 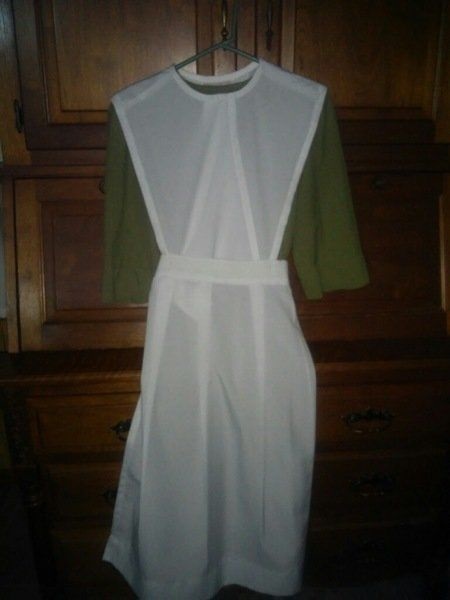 Leave a reply to What Do Amish Brides Wear?